I ran out of Mad Men episodes On Demand this weekend and had to begrudgingly find a substitute for my semi-regular, yet still fruitless, elliptical jaunts “up the mountain” setting. 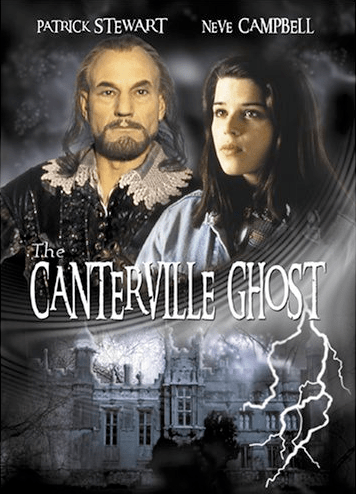 While flipping through the free movie section I found the 1996 version of The Canterville Ghost starring Neve Campbell and Patrick Stewart. Needless to say, I freaked out and pressed play immediately. I totally remember watching this when it originally aired on TV. I was 16 at the time and it was the height of the whole Party of Five hype. I was all about Charlie, Claudia, Bailey, Owen, and of course Julia. Surprisingly enough, this family friendly film holds up fairly well for being a made for TV movie. In addition, the presence of the venerable Captain Picard as the resident ghost, dressed in period garb and shaking his chains with all his might, gives it quite a bit of added credibility. If you have Comcast you should definitely check out The Canterville Ghost, even if only to remember how bad that whole plaid flannel shirt, overalls look really was. It’s available until November 9th. By the way, whatever happened to Neve Campbell? She was on a few episodes of Medium last year but that’s about it. I miss her. Someone should hire her for another sitcom so that she can pout prettily and roll her eyes for an audience again.